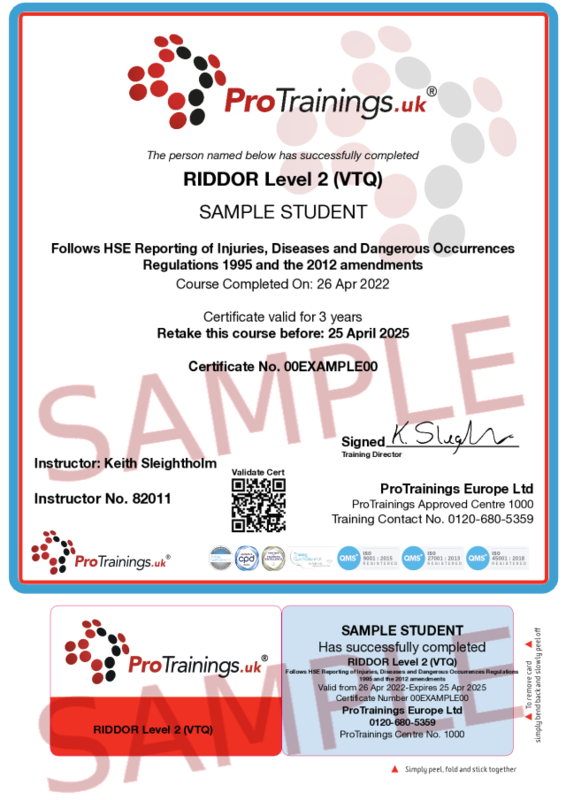 The Reporting of Injuries, Diseases and Dangerous Occurrences Regulations 1995 (RIDDOR) have been amended as of 6 April 2012, RIDDOR’s over-three-day injury reporting requirement has changed. The trigger point has increased from over three days’ to over seven days’ incapacitation (not counting the day on which the accident happened). Incapacitation means that the worker is absent or is unable to do work that they would reasonably be expected to do as part of their normal work. This course gives basic training of RIDDOR and how businesses need to plan and follow the rules of the HSE in respect of accident reporting and notification to the HSE.